Construction of four detached, single family infill houses with parking in the rear. The three-story gable front houses were designed to fit in with the massing of neighboring homes. The base unit has two bedrooms and one bath with an option to add two more bedrooms and another bath on the 3rd floor. 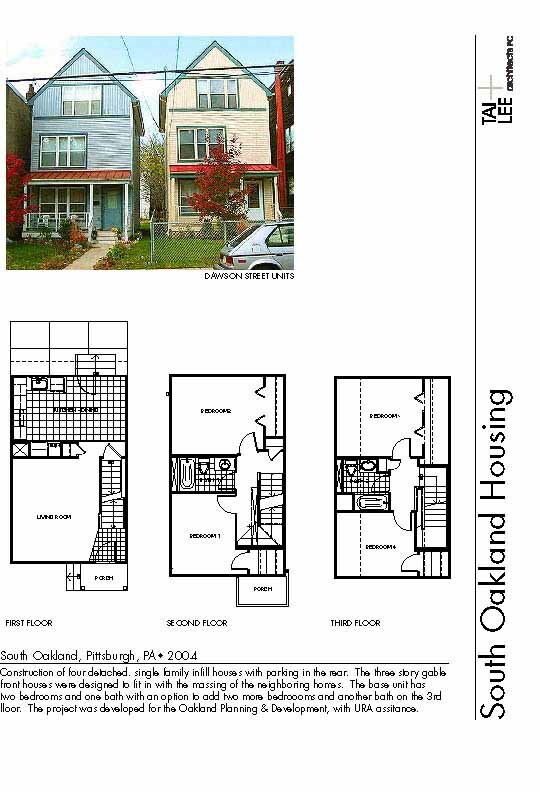 The project was developed for the Oakland Planning & Development, with URA assistance.